SPL is CLIA-certified and is accredited by the College of American Pathologists. 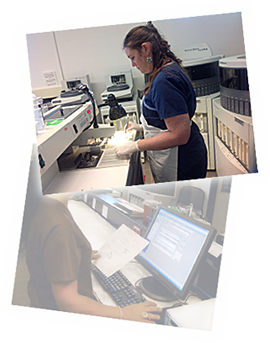 SPL’s staff of ASCP certified histotechnologists help train Moh’s technicians and offer back-up services. 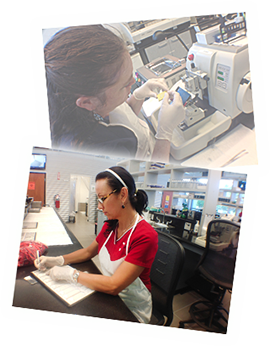 Surgical Pathology Laboratories is Florida’s largest provider of frozen section pathology services, and been providing services since 1998. SPL provides QC, slide review, diagnosis and retention of tissues for more poorly differentiated squamous cell carcinoma, soft tissue tumors, and others for Moh’s surgeons. Surgical Pathology Laboratories also provides mobile frozen section pathology services to individual physicians, group practices and surgery centers with on-site reporting of diagnosis and margin evaluation. SPL retains tissue up to 10 years for those surgeons unable to do so. SPL’s staff has expertise in all areas and types of insurance. SPL’s experienced staff will submit claims to all insurance carriers, if initial submission is denied; we will re-submit the claim through the appealing process.